Door numbers and letters are becoming more and more common on doors, and are essential to make properties stand out so they can be found easier. 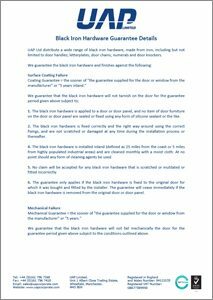 There is currently a big push by the emergency services for consumers to install a front door numeral on their homes, so they can find a house quickly in an emergency. The traditional black iron numeral from UAP has a classic design that is perfect for cottages and period properties, as well as large wooden doors and rustic interiors. Made from solid cast iron, the black iron numeral is durable and black powder coated to give a high quality finish. 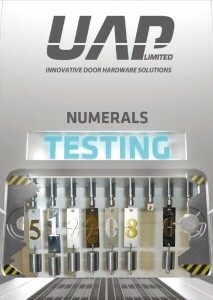 The black iron numeral is a practical solution for entrance doors in residential and commercial properties. It is extremely easy to fit, and each comes complete with colour matched screws for perfect co-ordination on the door. 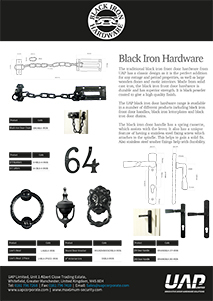 The UAP black iron door hardware range is available in a number of different products including black iron front door handles, black iron letterplates, black iron door chains and black iron door knockers.